Do you have a neighbour from hell? Your home is your castle; your own private slice of paradise. Everything has been great. You've always gotten along with the neighbours; some have even become friends. Then it happened—the new neighbors moved in. At first things seemed fine. But slowly the mood shifted. Somehow you've gotten on their bad side and they've made it their personal mission to make your life a living hell. They cannot be reasoned with. They cannot be appeased. They seem to derive a perverse joy from making you miserable. They are the "neighbour from hell." "It's always a good idea to get to know your neighbor." Having a "neighbour from hell" can destroy your peace and quiet, your privacy, and your security in your own home. Do you have a story? Share your experience and get advise and feedback from other visitors. Let us know about your "neighbour from hell" experience. Share your strategies for dealing with a neighbour from hell and ways that have been successful for you. Help yourself and others to overcome neighbor bullying! 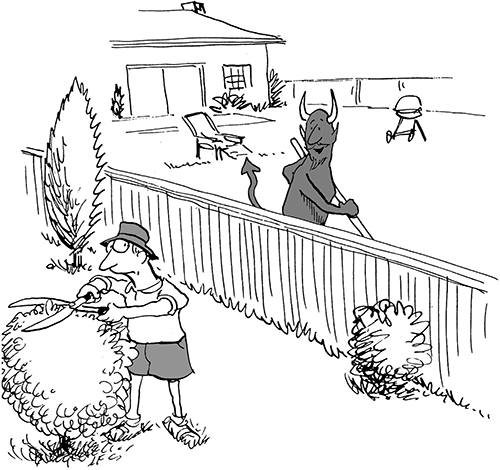 Fill out the form below to send us your "neighbor from hell" story. TIP: Since most people scan Web pages, include your key thoughts in your first paragraph if possible. How About A Family From Hell Category?